Joe Jonas and Ashley Greene have been spotted holding hands in public. Joe has also been seen without his purity ring. This must mean they're doing it, doing it and doing it well. 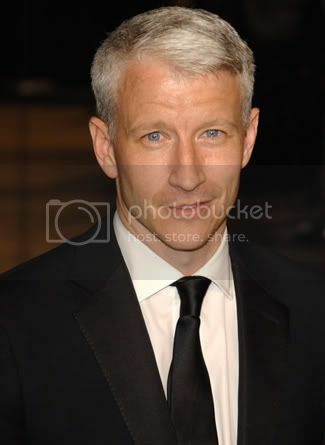 Anderson Cooper will host an hour long talk show in 2011. With eyes like that, I might watch. Will you? Jersey Shore star Nicole 'Snooki' Polizzi plans to 'write' a novel. The tentative title is 'A Shore Thing'. Man, that's clever. The book will reportedly revolve around a girl looking for love on the boardwalk. It's ok. You can laugh. I did. David and Victoria Beckham are suing the woman who recently accused Becks of having an affair. The couple has promised they'll donate the money to the Victoria and David Beckham Charitable Trust. More dumb whores should accuse men of adultery if it'll make money for charity. Don't you think? 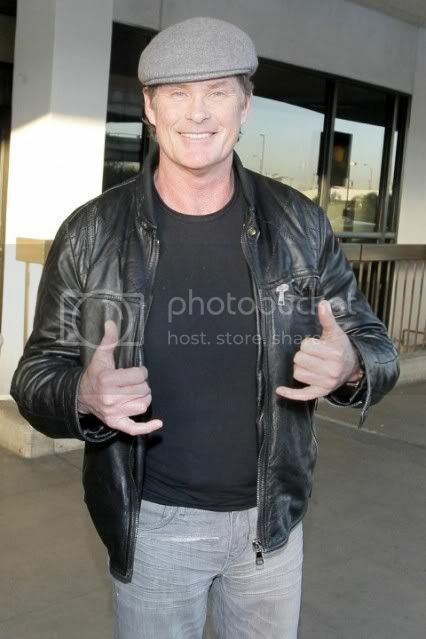 David Hasselhoff gave drivers in LA a treat on Thursday night when he stood on the freeway and waved at people. He tweeted, "It was me on the overpass. I like to make people’s commutes a little more fun!" After thirteen years with Victoria's Secret, Heidi Klum has decided to retire. Heidi says, "All good things have to come to an end. I will always love Victoria’s Secret. It has been an absolutely amazing time." 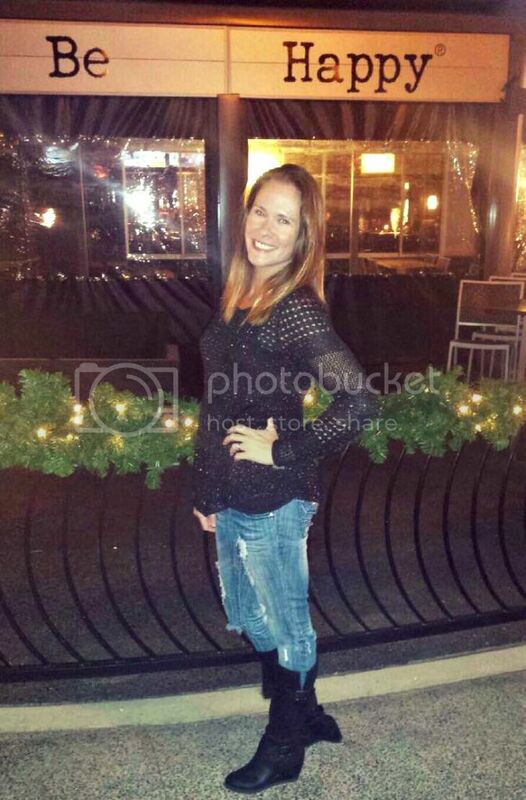 I love Ashley' real hair - she is so pretty!! Anderson! Of course I will watch his show. I hadn't heard this news yet, so exciting! Snooki can write? That's the funniest thing I've heard all day! Gah Anderson is such a fox. Snooki. Oh dear Lord, Snooki. Gah. I think I laughed so hard I almost barfed. The Hoff. Ugh. The Hoff? Oy. I would think Alice would pick someone better than a Jonas brother. Srsly. I love his eyes. I think we should also send advance orders for Snooki's book. I'm assuming it's going to be a Golden Book with laces to finish the pictures… Come visit when you can. Ummmmmm, I would watch Anderson do ANYTHING. And yeah, I know I'm not exactly his type. HA! I heard about The Hoff's escapades, but I missed it. Too bad. I can't wait til Snooki's book comes out. I have only been reading good books lately and I really want to review a crappy one. Ugh. Snookie writing a book infuriates me to no end. With so many good writers out there looking to get published, it just seems so ridiculous that this a**hat gets a spot in the spotlight. How much longer until her 8 minutes is up? Ashley G is super HAWT.. I'd do her too. What the hell is Snooki wearing on her feet?! She's gets on my last nerve. Oh, lordy. If I saw David Hasselhoff on an overpass, I'd either drive off the road or call the po-po. Because that guys just reeks of throwing-bricks-onto-the-cars-below-ishness. Why would Ashley lower herself to a Jonas brother? Ick. Haha well isn't that just so nice of David Hasselhoff? He just loves to bless the world with his face! And what in the world is with "Snooki"? Who cares about her? I wish people would stop giving her all this attention and money for being a nobody. gaaahh.. that ashley greene is smokin!! 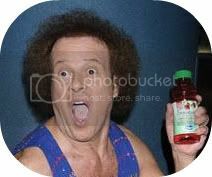 Nobody rocks the Jewfro like Richard Simmons. David (because I call all my imaginary boyfriends by their first names) has on one of the ugliest suits I've ever seen.